dad left and she needed help watching YouTube,” according to court filings. 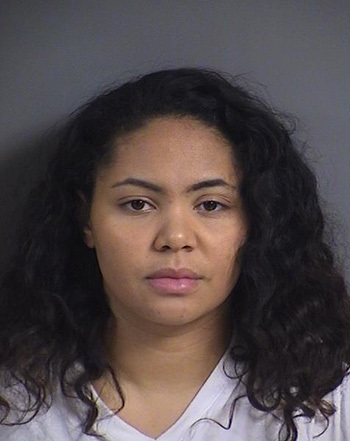 Investigators charge that Natalee Kahl, 23, left the children–ages five, three, and one–alone around 10 PM in the family’s apartment in Coralville, an Iowa City suburb. The child became ill and was rushed to a hospital, where her blood alcohol content was measured at .284 (nearly four times the legal limit). After the baby was released from the hospital, Kahl told a TV reporter of her thoughts upon seeing her daughter stricken. “There’s a lot that goes through your mind, like, ‘Oh, my baby is going to get taken away, or she could die,’” Kahl said. Previous Previous post: Liberals said the death of net neutrality would kill the internet. But here’s the truth one year later. girls get pregnant and are unfit mothers and never go for any help….this is horrible! but if she goes to jail then the children go to CPS which is worse for them! MOTHERS WAKE UP! Cps never got involved because I’m a good mother and you shouldn’t believe everything you read on a false news site with tons of incorrect information. I was never arrested they came back a day later to tell me anything and I even turned myself in and waited for this so called warrant to be processed for 3hours before I even got booked.